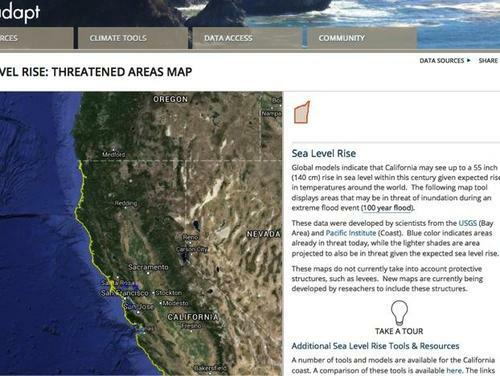 This interactive tool allows viewers to explore, by county, the areas of California threatened by a rise in sea level through this century. 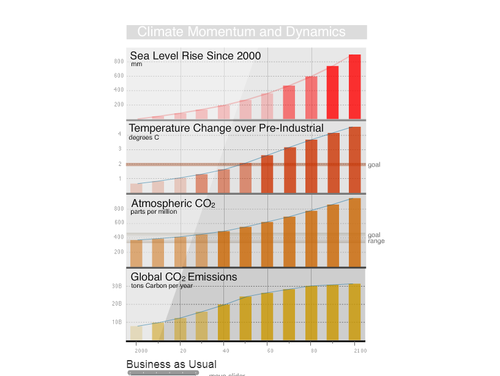 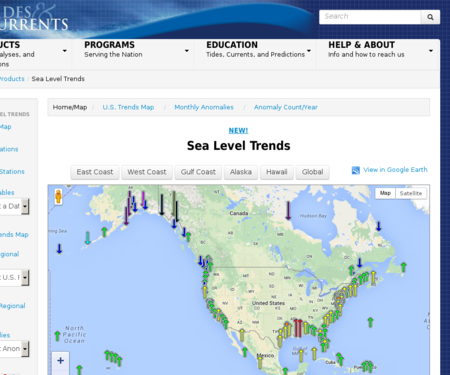 The NOAA Sea Level Trends map illustrates U.S. regional and some international trends in sea level, with arrows representing the direction and magnitude of change. 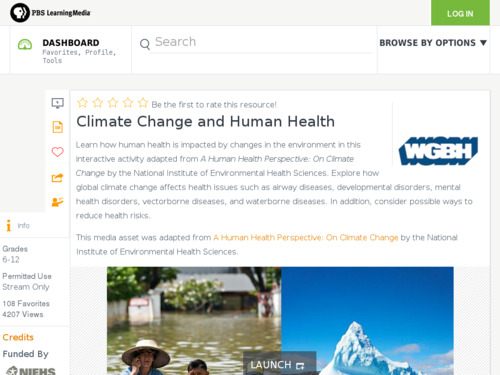 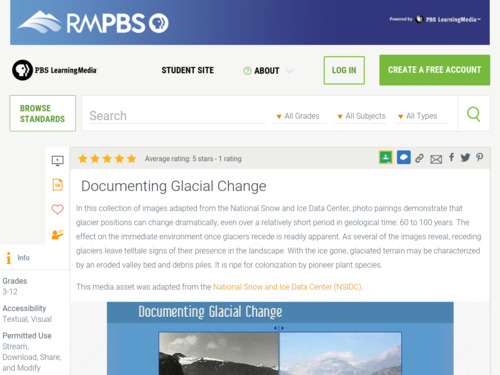 Students can investigate sea level changes around the U.S. and some worldwide using an interactive map interface with supporting data plots and tables. 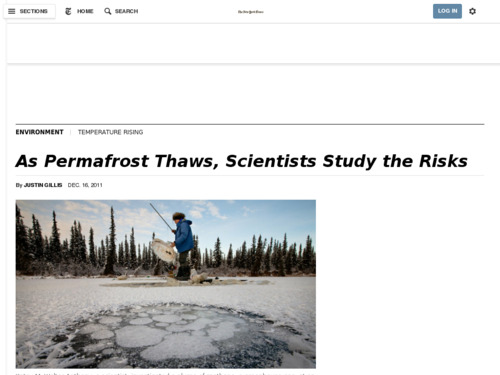 An interactive simulation that allows the user to adjust mountain snowfall and temperature to see the glacier grow and shrink in response. 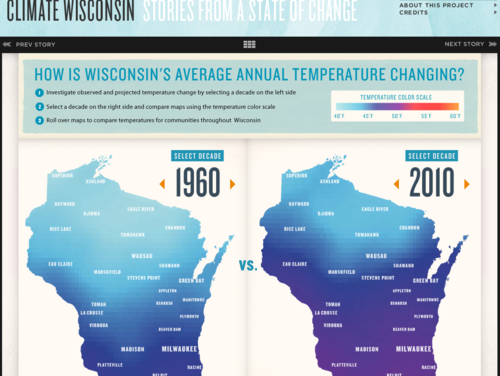 This interactive visualization allows users to compare projections of Wisconsin's average annual temperature with the actual changes of the last five decades. 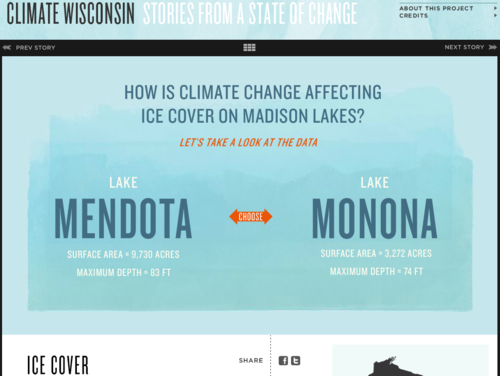 Text on the web page encourages students to think about the challenges Wisconsin could face if these changes occur.